Chick and Bode Show Ring Success! After their successful debut in the field this Fall, Chick and Bode are now tearing it up in the show ring. Thanks to our good friend Bryana Pierce. Chick has been “in the purple” every weekend she has been out and her brother Bode is not lagging far behind. Maybe Santa will bring some new Champions for Christmas? 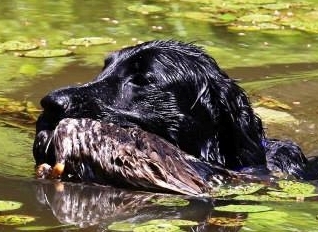 Chick is Gamekeepers Boom Chicka Wow Wow JH and Bode is Gamekeepers Double Black Diamond JH WCX. 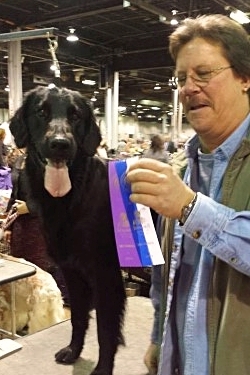 Bode is owned by Ray and Eloise Girt and he is their first performance dog. 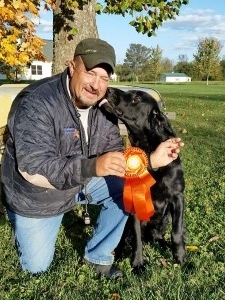 Chick and Bode are two years old and are out of Ruff, GCH Flatford Ruffles and Flourishes WC and Dazzle, CH Gamekeepers Black Diamond CD MH WCX. 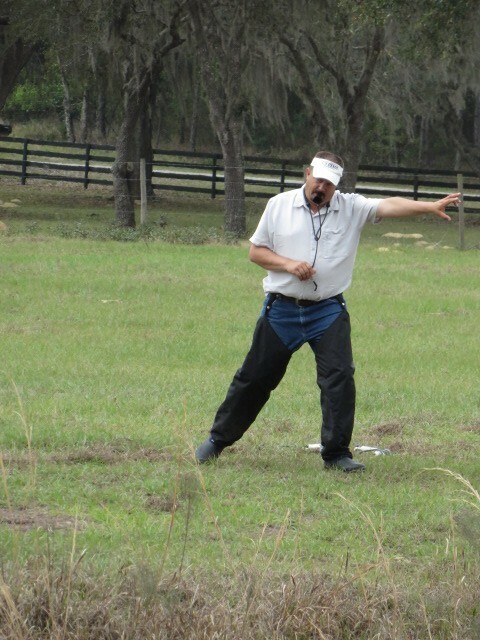 Montverde, FL Blind Workshop Now Open for Entries! The Blind Workshop is coming to Florida in February and is now open for entries. 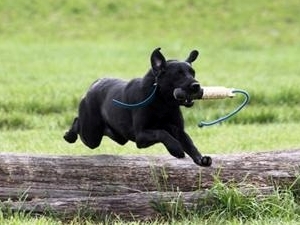 This workshop is being presented to help handlers succeed in training and running better blinds. The focus of this workshop will be solely on blinds and will only utilize marks as influence for blinds. During each of the three (3) days, working teams will perform various drills to improve lining, casting and handling on blinds. In addition, multiple types of blinds will be run each day. Blinds will be run that represent different levels of difficulty and each blind will be rated so that handlers may chart their progress during the seminar. Complete details and registration information, as well as a listing of other programs being held throughout the year, can be found in the premium on our Schedule of Upcoming Workshops and Seminars page. We look forward to seeing you there! We have some exciting changes for the 4 day workshop this year. First, we are taking it on the road. 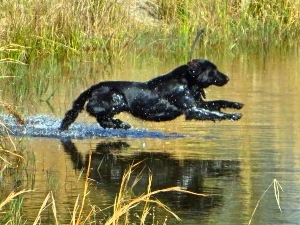 This year the 4 day will be hosted by Clint and Sherie Catledge at the fabulous Bear Country Retrievers training grounds. 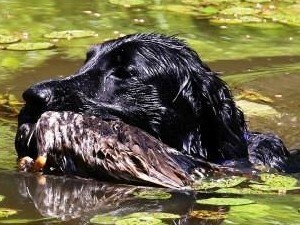 If you have not been there, it is a must visit place for retriever trainers. It is truly a training mecca. Second, we have updated the program to combine the “Best of Mitch” (drills, concept training and his ability to problem solve on the fly with you and your dog) with the best elements of his set up seminar. See premium for details. This is going to be a great program! THIS PROGRAM ALWAYS SELLS OUT IMMEDIATELY. Do not hesitate if you want a working spot. Auditors are encouraged and we are offering them the opportunity to participate in the set up discussion. In auditors will be designing the final set up on day 4. We are so incredibly proud to announce that Deb Zirwas and Rou earned their OTCH on November 1st. 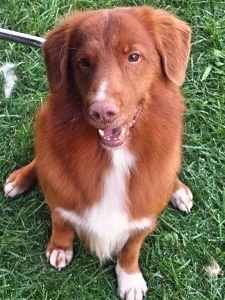 This is Gamekeepers first OTCH dog and we couldn’t be more pleased! 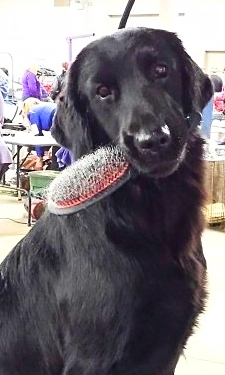 Deb is a first time Flat-coat owner and she found the perfect teammate in Rou. Their next adventure together is going to be completing her JH which is the next stop toward making Rou eligible for the FCRSA Hall of Fame. Rou is U-UD OTCH Gamekeeper’s Up the Ante OM4 UDX4 RE GO AX MXJ NF WC ASCA CDX CGC VFCR1. 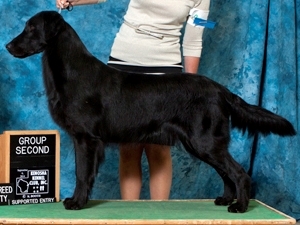 She is out of our breeding of Remie (CH Bear C’ntry Hob-B Reminiscent MH WCX) to Ace (CH HR Amani’s Top Gun MH WCX). Brags from a Happy Seminar Student. We just love hearing from our happy clients and students. Thank you so much Marcie and continued success with your dogs! A new MH, a new SH and a new JH! They were all owner bred, trained and handled! The Season’s Last Hunt Test is in the Books. Mitch and New SH Alex! The final hunt test for the 2014 season is complete and it has been a great season for all of our dogs and clients. We so appreciate each and every one of you and your faith in the Gamekeepers program. Wrapping up the year we have another new Master Hunter, Ticket, owned by Carol Young and we have a new Senior Hunter Alex, owned by Linda O’Leary. Visit our Annual Title Qualifiers page for a complete list of this year’s successes and do drop me a line if I left someone off. I try my best to get them all up there. Fall has arrived. The leaves are turning, the air is crisp and the dogs are loving the cool, crisp weather. Many of our clients are going to be hunting with their dogs this season and I know each will enjoy their time in the field. With Fall brings planning for Winter and we are looking forward to wintering in Montverde, Florida for 2015. Mitch will be contacting those of you sending dogs “down South” to finalize plans shortly if he has not already done so. Until next time, enjoy! Fall is my favorite time of year in Frazeysburg, OH. Brother and Sister Success Story! It was a brother and sister success story in the field this weekend! Bode, Gamekeepers Double Black Diamond JH WCX, and his owner Ray Girt attended a WC/WCX test where Bode pass BOTH the WC and the WCX. 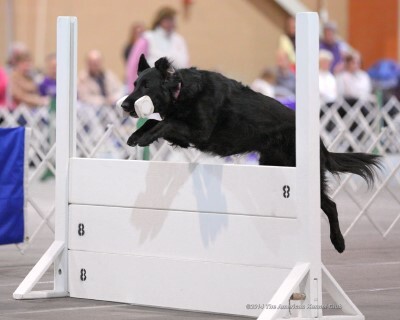 Bode is Ray and Eloise Girt’s first performance dog and we are so proud of their accomplishments. 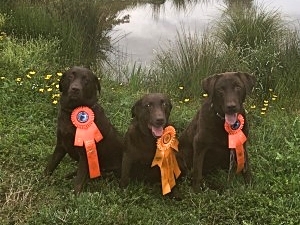 Meanwhile up at the Buckeye Retriever Club, Mitch was running our little spitfire Chick, Gamekeepers Boom Chicka Wow Wow JH, finishing up her JH in style. Both of these youngsters are out of Dazzle, CH Gamekeepers Black Diamond MH WCX and Ruff GCH Flatford Ruffles and Flourishes MH. We are very pleased with this litter!